A Special Kind of Vision contains life stories of prominent Indigenous artists of the Northern Rivers region of NSW in the eastern coast of Australia with large images their artwork in stunning full colour. An ideal present! 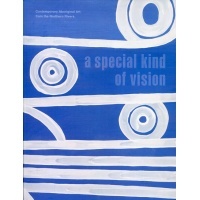 The book provides a fascinating insight into contemporary Aboriginal arts practices. The book resulted from the travels of Indigenous Arts Development Officer, Frances Belle Parker of Arts Northern Rivers. She toured the Northern Rivers region meeting with eighty practising Indigenous artists and recording their stories. 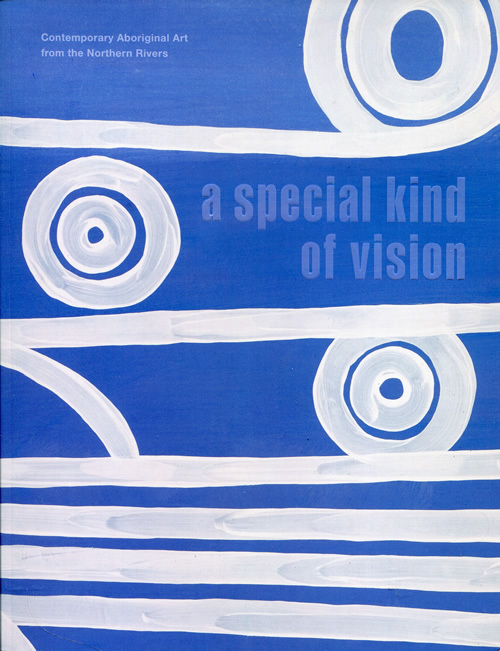 Examples of the work of twenty six of these artists were selected for inclusion in this book to illustrate 'A Special Kind of Vision' that Indigenous artists bring to understanding art and life .